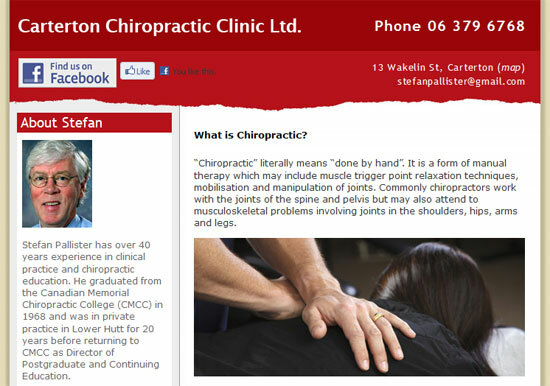 Chiropractor Stefan Pallister has over 40 years experience in clinical practice and chiropractic education, which he puts to great use at his Carterton Chiropractic Clinic! And sometimes, all you need to get started on the web is a single page. Nothing astonishingly fancy here, but it’s lovely to whip up a quick, simple online presence to help local businesses flourish!